Before the turn of the century there were two troupes of Morris Dancers in the area, one based in Lymm and one in Oughtrington. Only the Oughtrington Troupe survived into the 1900's. The leader of both troupes of dancers dressed as a woman and carried a wooden ladle for collecting money. Lymm Morris dancers were led by Thomas "Dossey" Brooks who died in 1897. Tom Holt led the Oughtrington dancers before 1900, and John Robert Downward in the early 1900's. Most of these early dancers were fustian cutters in local cottage industries, cutting lengths of velveteen into ribbon, and this abundant availability of ribbon is reflected in the kit they wore. These early Morris troupes originally danced in the Rushbearing Processions which took place in Lymm and Statham in August, when carts fully laden with rushes were drawn by horses to the church and the rushes spread on the cold floors for winter insulation. The Lymm rushcart was always drawn by "Lymm Greys" and the Statham cart by "Statham Blacks" - horses which were bred in the villages. This custom died out in the early 1880's. 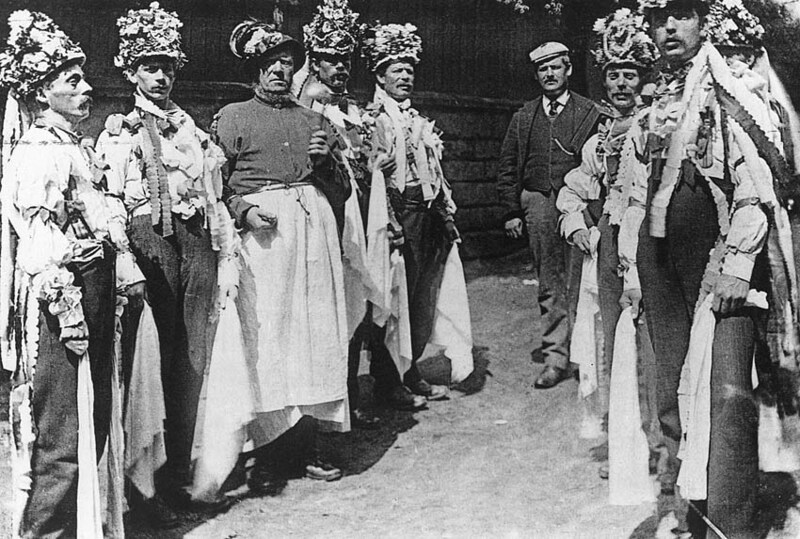 Although Whitsuntide festivals were established in both Lymm and Statham in the early part of this century: - Fred Lockyer had established the Statham Whit Monday Festival in 1911, and Lymm had already established a Whit Thursday Festival - there is little evidence of Morris dancing on these occasions until Ned Rowles taught the "old dance" for the boys of Statham to perform at the 1920 Whit Monday revels. 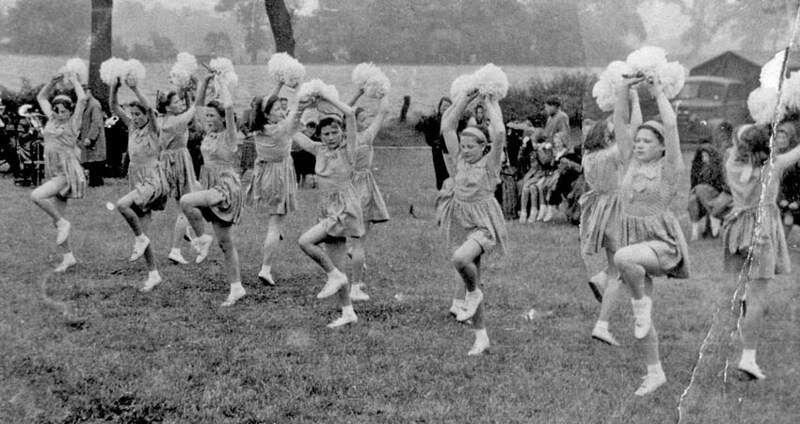 The old Morris dance was thence performed annually, but in 1928 the Morris dancers were no longer taught the old dance by Ned; the troupe was a mixed troupe of boys and girls trained in a modern style. 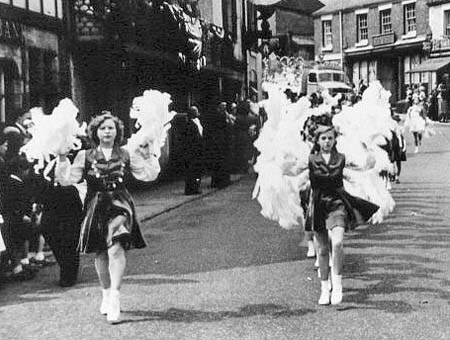 In 1929 the Morris troupe was all-girl, which had rapidly become the fashion. There were other Morris teams during the 1920's and 30's but information is difficult to come by. After the Second World War Ted Edwards and his wife were mainly responsible for re-establishing May Queen celebrations in Statham in 1946. Alice Walker (née Higgins) and her brother Bill Higgins both danced in the Morris troupe in Statham from 1928 on, and they created and trained the Broomedge Morris Dancers who later became the Broomedge Blue Streamers entertaining troupe. Other troupes in the area included The Lymmtonians and the Lymmtoniettes, Embassy, Lymmdale and The Sherenades. Lymm Morris Dancers in a painting which is now in York Museum. Oughtrington Morris Dancers led by Thomas Holt. 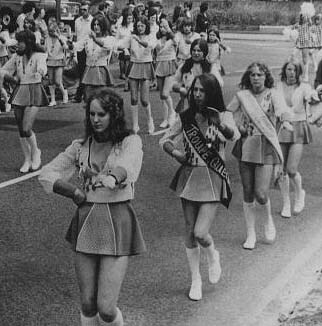 Only the Oughtrington Dancers exist, led by John Robert (Bob) Downward. Ned Rowles is the leader of the Morris Dancers. The Morris Dancers did not reform after the First World War. Statham Boys Morris Dancers taught the old dance by Ned Rowles. Statham became a mixed troupe and in 1929 all-girl. 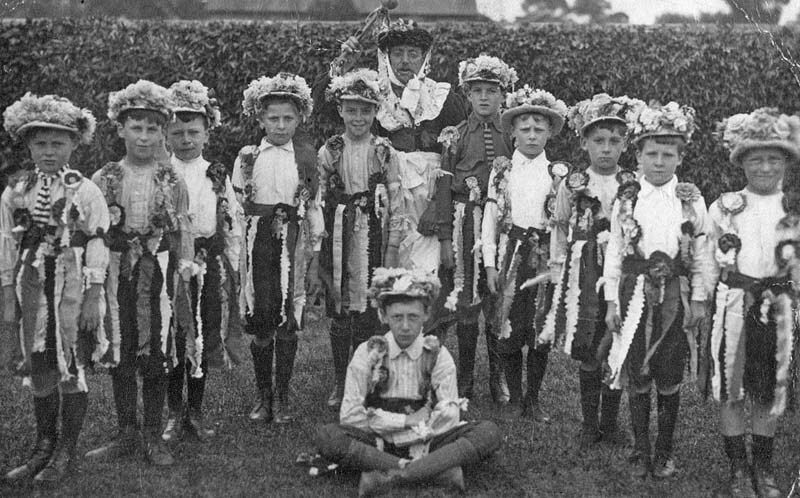 Heatley Boys Morris Dancers taught by a 'Mrs. Hankey'. 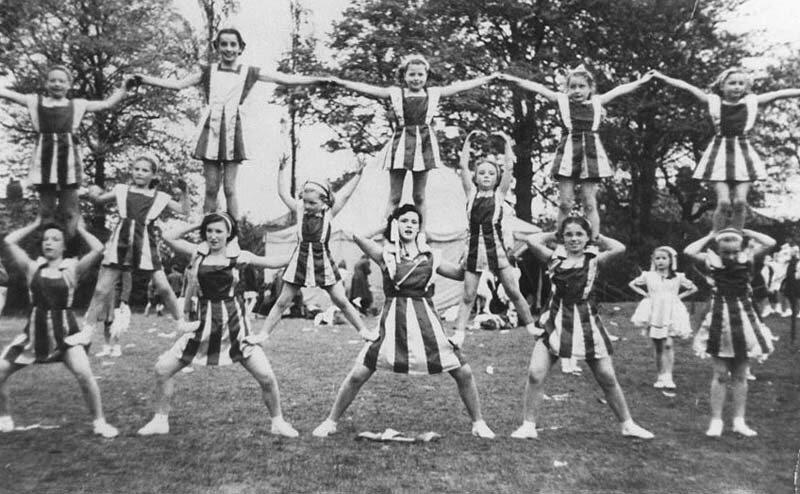 May Queen Acrobatic Dancers taught by an 'Arthur Sutton'. 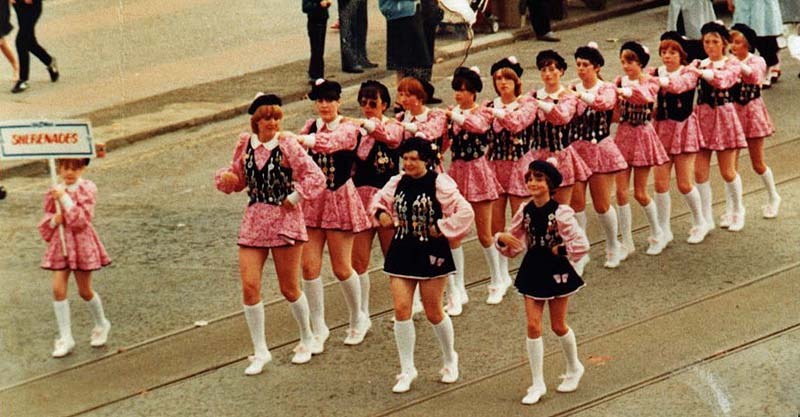 'Lymmettes' trained by a 'Mrs. Bradburn'. Jack Gilbert is overheard by his headmaster reciting some odd bits of rhyming dialogue and the Lymm Solecaking Play (Jack had learned it all from his Granddad!) is revived and performed by the school children. Maud Karpeles visits only the surviving members of the 1900 team: John "Downwood", his brother-in-law John Wilkinson the musician, Abraham Wilson and Charles Simpson, to note down the old dance. May Queen celebrations re-started in Statham and Lymm. An invented revival of the old dance is performed using country dance figures. 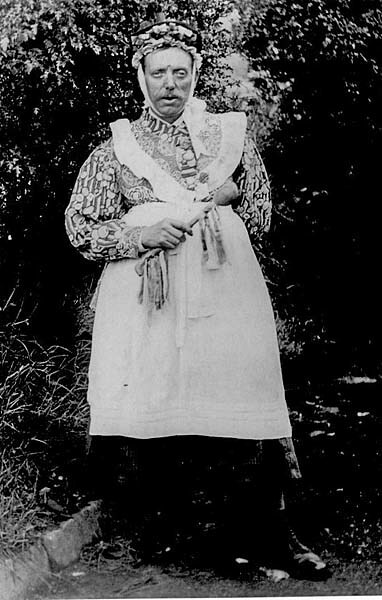 Edith Russell (nee Leather) was the 'Maid Marian'. A garland dance was performed with decorated hooped garlands. Broomedge Morris Dancing Troupe formed and trained by Alice Walker (nee Higgins) and later run by her brother Bill Higgins. The Lymmtonians and The Lymmtoniettes formed by Mrs. Higham. The Embassy Entertainers formed by Mrs. Shaw. The Pamela Stars formed by Pamela Carter's (nee Beddows) father. Lymmdale Entertainers formed by Fran Hall (nee Matulko). 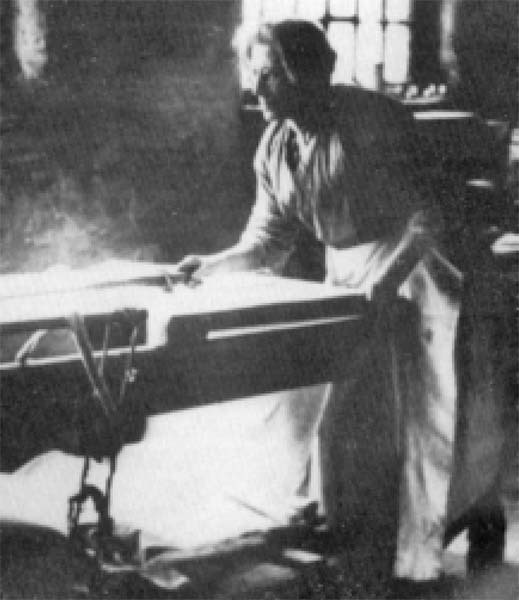 Lymmdale ceased to be and The Sherenades formed by Pauline Doorbar. The Lymm/Statham dance revived and danced by Thelwall Morris Men.